Complex dental treatment can sometimes come at a high cost. 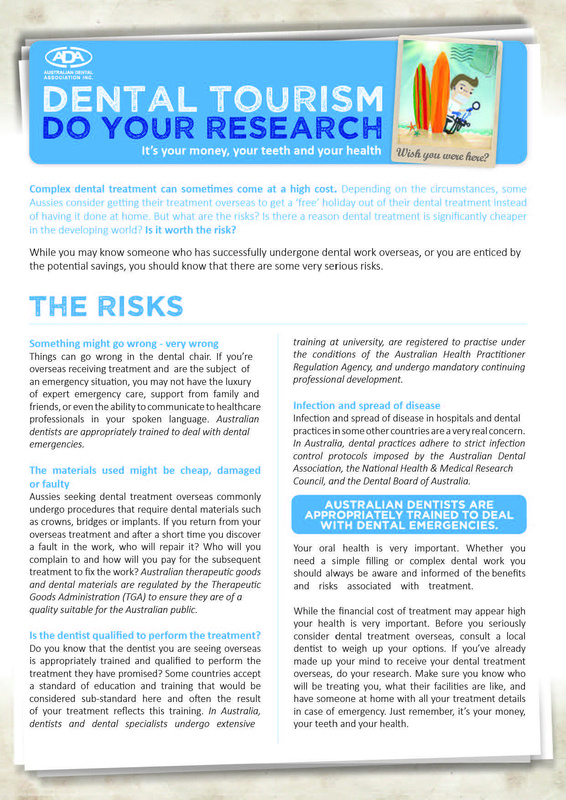 Depending on the circumstances, some Aussies consider getting their treatment overseas to get a ‘free’ holiday out of their dental treatment instead of having it done at home. But what are the risks? Is there a reason dental treatment is significantly cheaper in the developing world? Is it worth the risk?